Home	/ Edwire	/ When is the best time for students to learn about the importance of mental health? 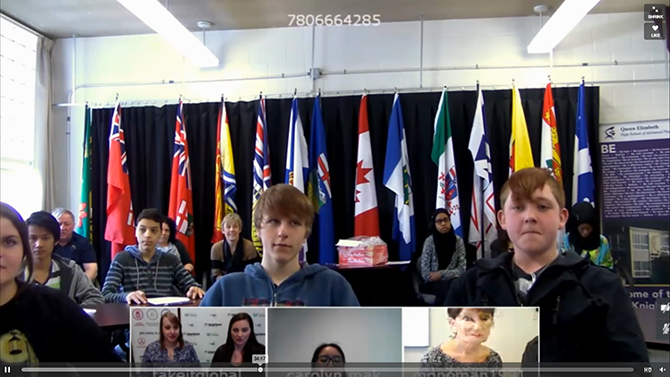 “It’s so frustrating when people tell me they know how I feel.” – Read by Lynda Monahan during the first Let’s Talk Mental Health National Video Conference. She was reading a writing submission from a member of the Writing for Your Life program at the Canadian Mental Health Association. The Canadian Mental Health Commission published a report that “recognizes the link between mental health and academic performance and recommends increasing comprehensive school health initiatives that promote mental health for all students….”. Or to put it another way: If the average student spends 7 hours a day in school, 8-10 hours sleeping and divides the rest of the day between friends, family, and extra-curricular activities, when is the best time for the student to learn about the importance of mental health? This is a question that has been taken seriously by education departments across the country because avoiding the answer can have such a profound impact in schools. An estimated 14-25% of children and youth experience significant mental health issues and most will not receive treatment. 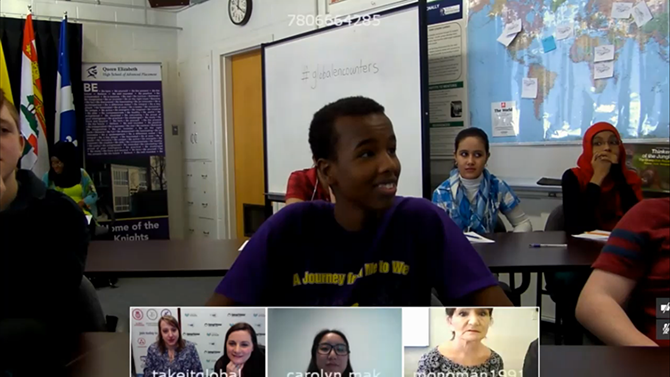 Herein lies the promise of the Let’s Talk Mental Health National Video Conference and Campaign, a new project launched by TakingITGlobal, the Centre for Global Education, The Canadian Education Forum, and the Charitable Impact Foundation (CHIMP). It’s a timely initiative that connects with the Commission’s recommendation, and is flexible enough to fit within the curriculum objectives of many different mandatory classes across the country (like Planning in British Columbia, CALM in Alberta, or Civics in Ontario to name a few). The campaign has three main goals: One is to get students and teachers aware of the importance of mental health and the mental health resources available to them in their community. Another goal is to have students (as a class) fundraise for a mental health charity of their choice. The CHIMP has secured a donor who will match up to $10,000 of student-raised donations. 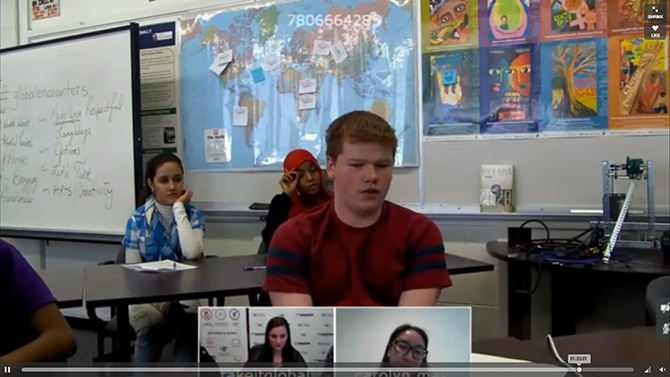 Lastly, students can collaborate with other classes across the country and share ideas and strategies. 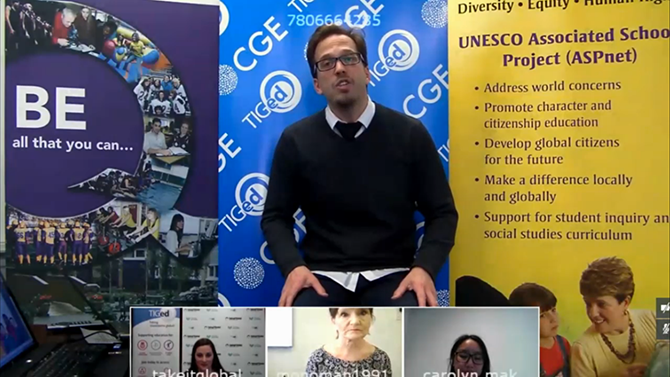 The culmination of this is an online video conference in May where participants will have an opportunity to share their success stories and lesson learned from the campaign. If the average student spends 7 hours a day in school, 8-10 hours sleeping and divides the rest of the day between friends, family, and extra-curricular activities, when is the best time for the student to learn about the importance of mental health? This is a question that has been taken seriously by education departments across the country because avoiding the answer can have such a profound impact in schools. An estimated 14-25% of children and youth experience significant mental health issues and most will not receive treatment. 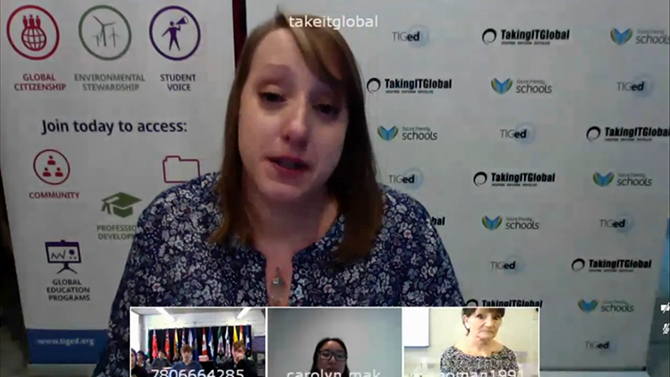 For the educators involved, TakingITGlobal has created a virtual classroom, complete with discussion questions, links to articles and videos on mental health, lesson plans and a student action guide for the campaign. Most importantly, it’s also the space where students can share and strengthen their ideas for the campaign. Tracey Erin Smith, a Performer, Founder and Creative Director at SoulOTheatre. Each speaker offered invaluable information to the students in attendance. In particular, I appreciated that Jessica Diamond shared some of her own history and emphasized the importance of recreation in her practice and personal life. During the conference she stated, “Using recreation to create mental wellness is an important skill to develop.” This sentiment was shared by the other speakers who, in some form or another, stressed the importance of finding something you like to do and people to do it with. It’s a simple concept but one that people seem to forget when feeling overwhelmed. That same simplicity is a great virtue for the Let’s Talk Mental Health National Video Conference and Campaign. By taking part, students and teachers are learning about the importance of mental health and related resources that are available locally and nationally. Not only that, participating classes are creating spaces that reduce the stigma of mental illness. There’s still time to get involved! If your classroom or an educator you know would like to register, you can follow this link.